Foundation for Essential Needs hasn't added a story. 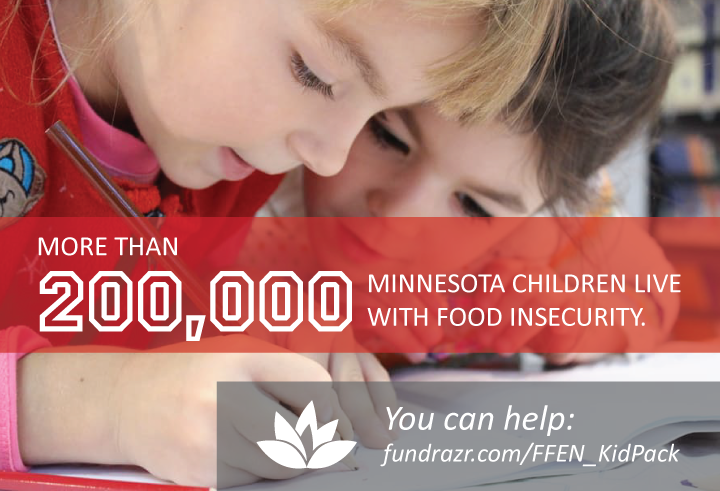 More than 200,000 Minnesota children live with food insecurity, lacking sufficient access to affordable and nutritious food. While many of these children receive free or reduced-cost meals during the school year, they don’t know where their meals will come from during weekends in the summer. That’s where the Foundation for Essential Needs (FFEN) comes in. FFEN is a small Minneapolis nonprofit that strengthens communities and ensures food security. Partnering with the White Bear Emergency Food Shelf and Step One Foods, we can make a difference for 250 children this summer by providing them with KID Packs; each pack will provide six wholesome and nutritious meals every weekend – delivered in a backpack. Your donation – at any amount – will have an immediate and measurable impact for children in the White Bear Lake area. Give $13.50 – the amount you would pay for a movie ticket and popcorn – and a child will receive six meals for a weekend. Give $162 and a child will receive six nutritious meals every weekend this summer. You can make a world of difference for Minnesota children this summer. Please consider a donation to prevent childhood hunger. Every penny of your donation will go directly to purchasing food for these kids. Foundation for Essential Needs hasn't posted any updates yet. 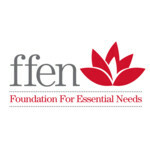 Foundation for Essential Needs is managing the funds for this campaign.